Lloyd Polite Jr. (born January 3, 1986 in New Orleans, Louisiana) is an American R&B singer, rapper, dancer and actor signed to a joint venture between Interscope and his own label Young Goldie Music. First discovered at the age of 12 when in the group N-Toon with his brother, he released his debut album Southside in 2004. He has since released 2007's Street Love and 2008's Lessons in Love. He has also released three mixtapes, and plans to release his fourth studio album sometime in 2010. He was born in New Orleans, Louisiana on January 3, 1986, to Robin Polite and Lloyd Polite Sr. His father died when he was at the age of two, and he moved with his mother and older sister Brandy to Atlanta, Georgia. Lloyd was discovered by Joyce Irby in 1996 and at the age of 14 was in the pre-teen group N-Toon, alongside younger brother Chuckie. The group won Nickelodeon's cancelled show Double Dare 2000 against No Authority, and the group was signed to DreamWorks Records. Although two singles were released ("Ready" and "Shoulda Been My Girl"), their debut album Toon Time went unnoticed due to a lack of promotion from the label. The group eventually disbanded, and Lloyd began shopping around for a solo deal. He was soon signed to MCA Records with his first single to be "Young Girl". Unfortunately, as MCA Records dissolved into its parent company, Geffen Records, many of the artists on its roster were let go, including Lloyd. However, using "Young Girl" as a demo, he landed a new recording contract with Irv Gotti at The Inc./Def Jam Records. "Southside", a duet with label mate Ashanti, became Lloyd's debut single and an R&B hit. The video was number one on BET's 106 & Park, where Lloyd and Ashanti performed the song live. The follow-up single was "Hey Young Girl", which wasn't as successful as "Southside". His childhood friend Ciara was in the video, and he is in the video of her hit "1, 2 Step". Both singles appeared on his 2004 debut album, titled Southside, which performed relatively poorly. A third single was never announced. 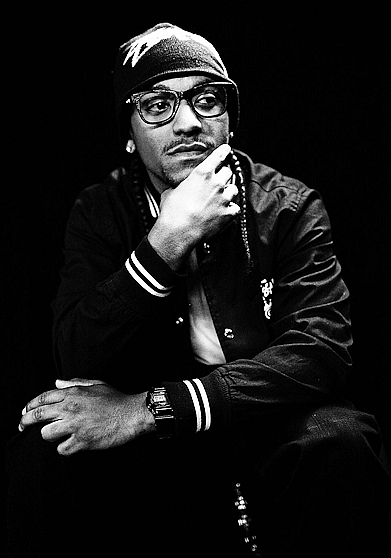 After that, Lloyd appeared singing hooks on singles for label mate Ja Rule on "Caught Up" as well as on rapper Tango Redd's "Let's Cheat". He also made an appearance in R&B singer Sammie's video "You Should Be My Girl". In 2006, a newly-recorded track titled "You" surfaced, featuring Lil Wayne (an alternate version featured Tango Redd). The single gained airplay on BET Late and it was #1 on 106 & Park. Lloyd's second studio album, titled Street Love, was released on March 13, 2007. The second single "Get It Shawty" was also very successful, reaching the top twenty on the pop charts. By the time the third single "Player's Prayer" was released, interest in the album had diminished. and with lack of promotion the song proved to be unsuccessful. Lloyd's third album Lessons in Love was released in August 2008. The song "How We Do It (Around My Way)" was promoted as a single in early 2008, but only appeared on select versions of the album. "Girls Around the World" was the next single, another collaboration with Lil Wayne. Lloyd has made guest appearances on television shows, most notably on the hit show One On One, an episode of Wild 'N Out on June 21, 2007 and on a show called Gotti's Way on VH-1. In an interview Lloyd indicated that he has about twenty tattoos, which include a picture of his father, the logo of his company Young Goldie Music and a "rebel baby angel". What do you think about Lloyd? Let us know in the comments below!